The battery life on the Galaxy S9 isn't stellar, while the S9+ isn't much better. If you find your phone isn't lasting you all day or your simply need more juice on the go and don't want to lug around an extra portable battery, then check out these battery cases and do it up in one go. 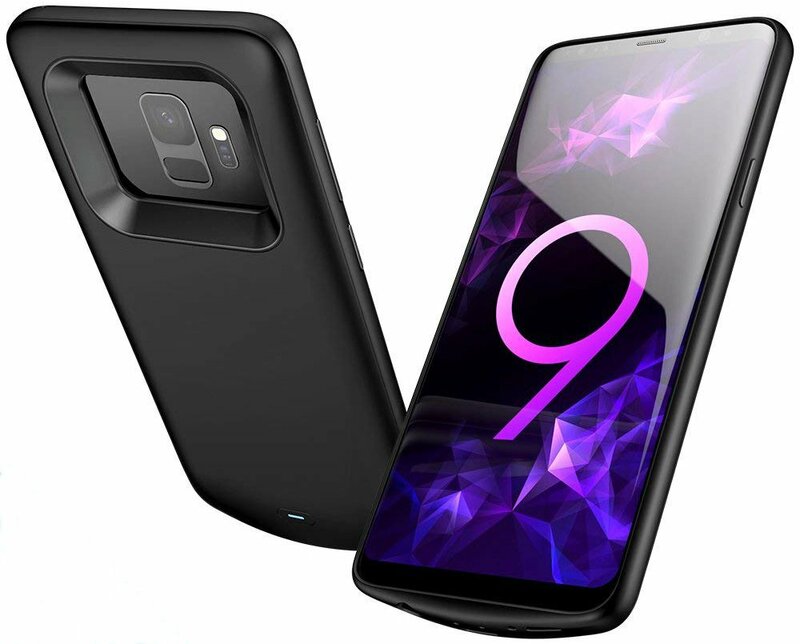 Featuring a 4700mAh battery, this case is capable of providing a full charge to your Galaxy S9 or S9+ and features all the protection you'd expect from a case, too. On the back is an LED indicator that used different colors to let you know how much bonus battery life you have remaining. This case also supports passthrough data transfer and charging via USB-C and will let you get way more out of your phone for a pretty reasonable price. Battery cases are sometimes considered to be too bulky — and it's totally understandable if you think this case is way too bulky for your Galaxy S9 or S9+. The ZeroLemon ZeroShock case is a behemoth. It's nearly an inch thick and designed to combine a massive 8000mAh battery with a rugged phone case design that's perfect for the outdoorsy types who love to go on long hikes but also want to have your phone available for photos and videos, or for emergency situations. 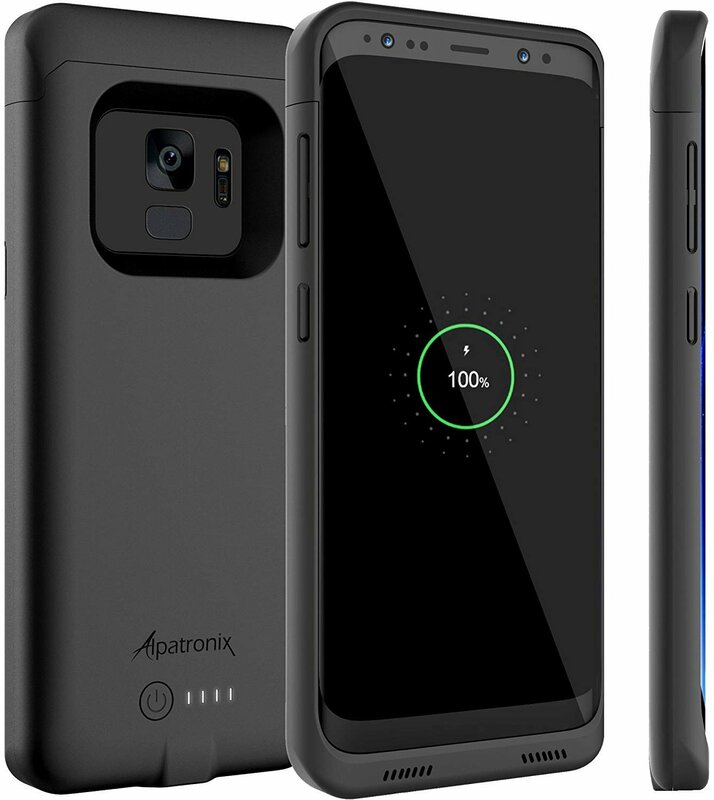 Alpatronix's case is well reviewed on Amazon and offers a good combination of bonus battery life (4000mAh) while keeping your S9 or S9+ protected while keeping all the functionality of your phone intact. There's a front lip around the display to defend against screen damage when you place your phone screen down, and there's a USB-C port at the bottom that can be used for both charging and data transfer purposes. This case also supports wireless charging using the Alpatronix wireless charger ($25) or any other Qi wireless charging pad so you can maintain the convenience of wireless charging with or without the battery case on. 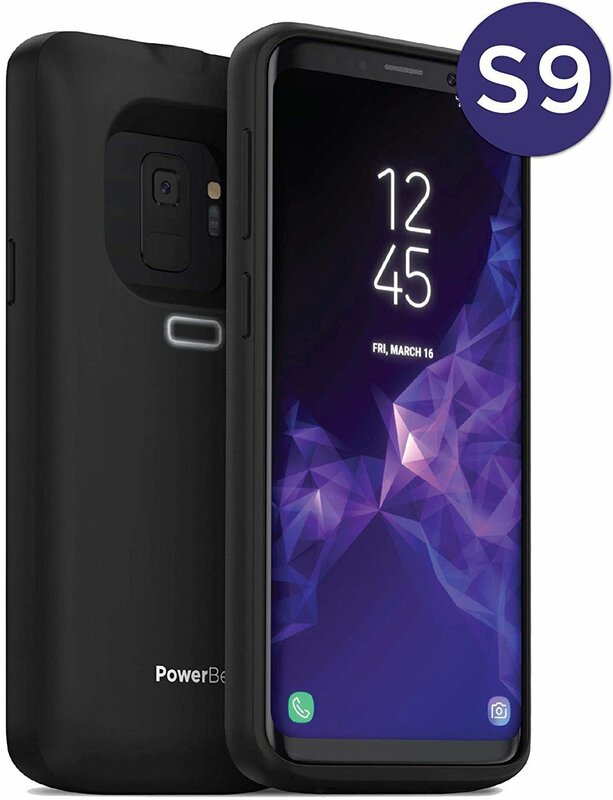 PowerBear's battery case for the Galaxy S9 and S9+ can give your phone at least one full charge (depending on usage), and it's designed with protection in mind. There's no denying that it's quite bulky, but that bulk means protection for both your phone and the case itself in case you drop it. There's a handy on/off switch so that you're not wasting battery when you don't need a top-up. This case from Elebase is available for both the Galaxy S9 and S9+, and it offers a sleek, simple look, with a single LED indicator to let you know how much juice it has left. Mophie's Juice Pack series uses high-quality batteries in a relatively slim form factor to keep your S9 juiced up on the go without the bulk. These cases won't charge your phone fully, but they will provide a top-up when you need it. They have an on/off button, and they're Qi-compatible, so you can wirelessly charge them up when you have the opportunity. If you find that you Galaxy S9 or S9 Plus just isn't lasting as long as you need it to, a battery case is a great solution so that you don't have to stop and wait for it to charge. 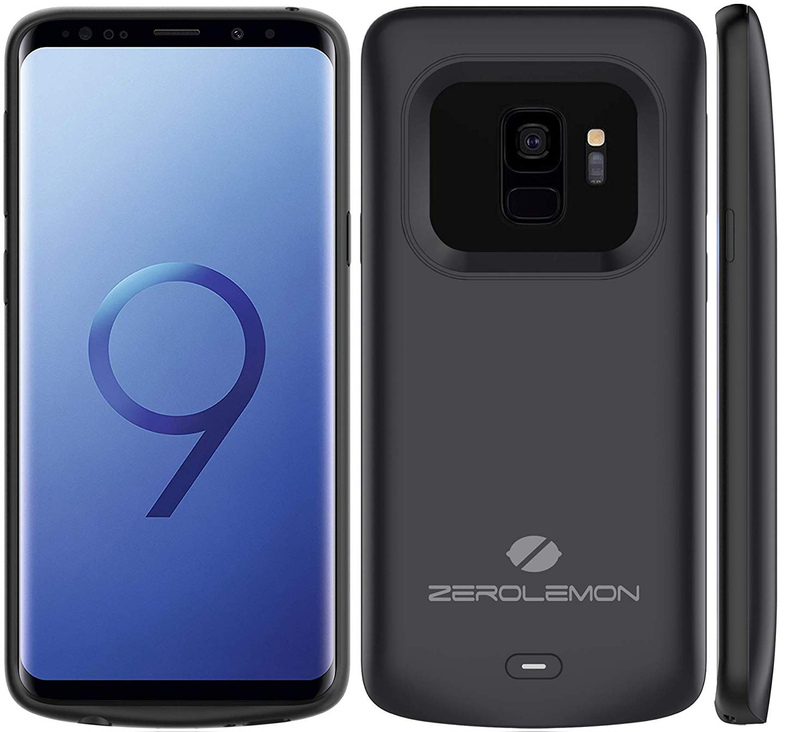 The ZeroLemon Slim Power is the best battery case for most people, since it's fairly affordable and can reliably charge your phone at least once fully.